President Jacob Zuma has delivered what is undoubtedly his last political report as ANC president. “Standing here I’m waiting for one leader to emerge who i will call my president. “I’ve met all of them and I’ve worked with all of them. We agreed that they should promote unity and abide by the outcome of the conference. “We must unite behind the leadership collective that we elect here. 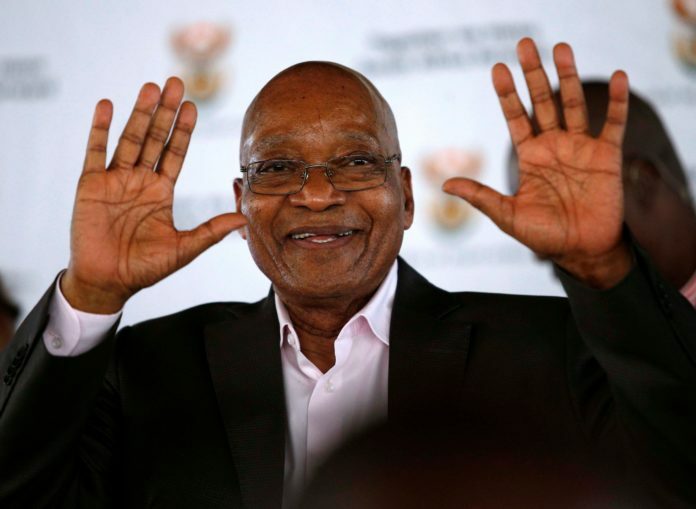 “The movement must be a winner and not the individuals,” said Zuma. .Zuma had listed factionalism, gate keeping and infighting as the things killing the movement. He said ANC leadership spent most of their time visiting provinces to fix these things instead of focusing on the movement. He also said that slate politics has cost the ANC good and many comrades. He lashed out at those taking ANC to court calling them ill-disciplined. “Ill-discipline has continued to afflict the ANC. Members are now also publicly challenging the organisation. Furthermore, Zuma lashed NGOs, saying some of them exists only to fight the ANC. He didn’t spare the media, saying forces hostile to the ANC control the means of communication. Previous articleOSCAR PISTORIUS MOERED IN PRISON! Next articleTOP 10 RICHEST KIDS IN SOUTH AFRICA!